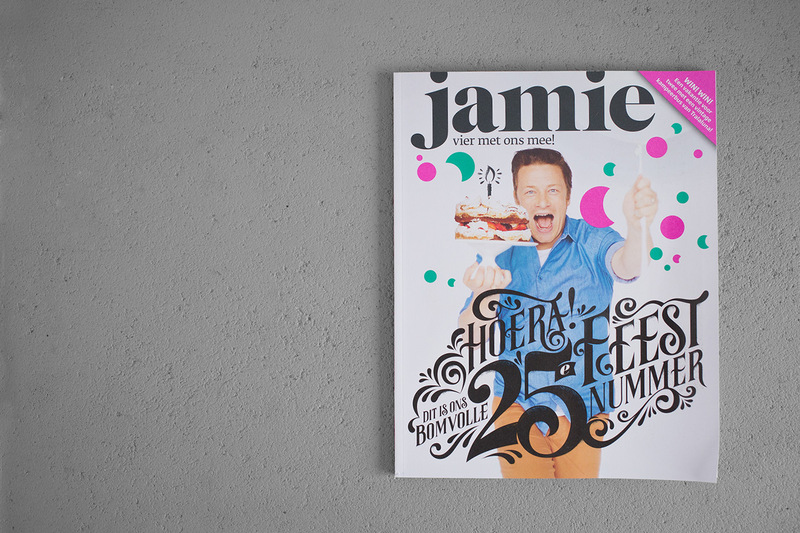 The Dutch version of Jamie Magazine is celebrating their 25th edition this month! I rarely buy magazines because I prefer cooking books, but for Jamie Magazine (as well as Donna Hay magazine) I make an exception. Why? 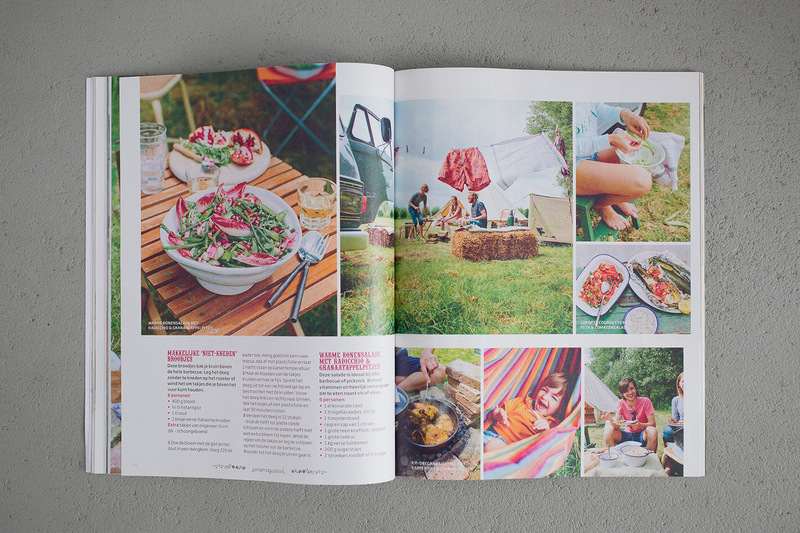 The gorgeous photography, the lay out and the recipes – all healthy and easy to make. The spread about the cocktail recipes are an inspiration for the mocktail recipes that I will be creating this weekend for the Fairminds Mocktailkit, so stay tuned! This edition is extra special for the editors Jamie Magazine because it’s a milestone which they can be proud of – but it’s also special to me because my friends Denni en Hugo from 11AM worked on it. 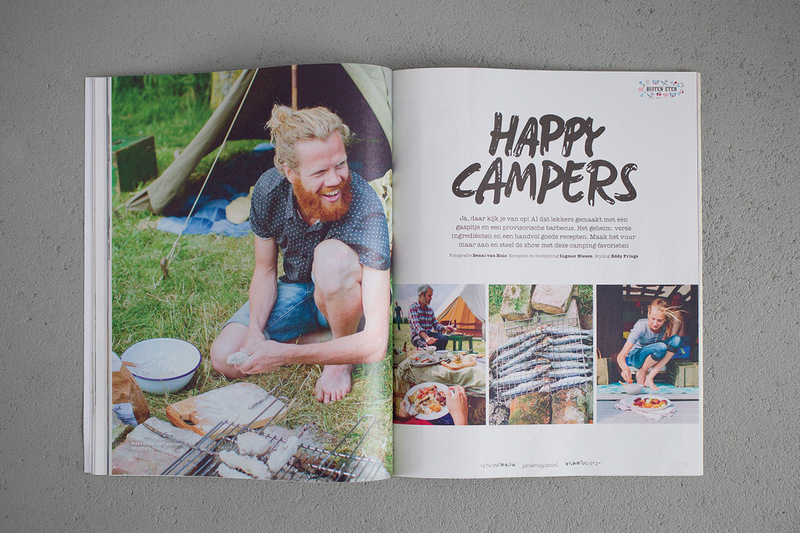 Together with a team of stylists they took the photos for the spreads ‘Happy Campers’ and ‘Gluren Bij’ (peaking at…). 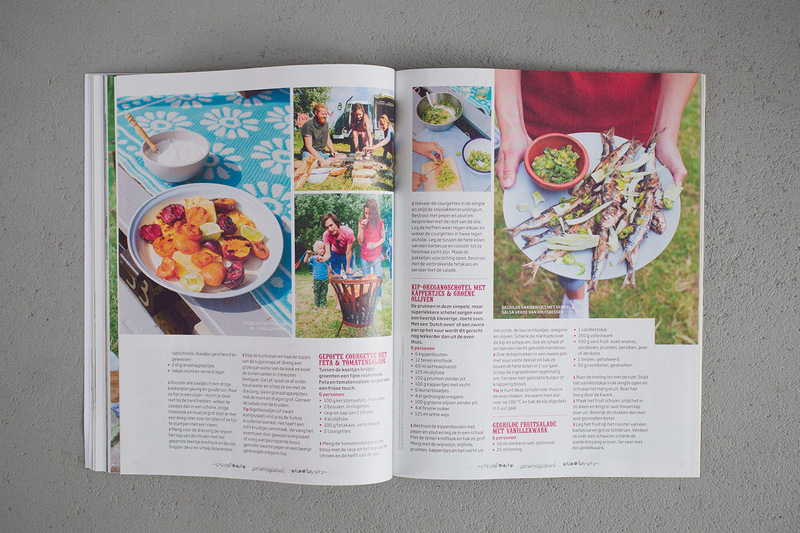 It’s really awesome to see how ‘lifestyle’ photographer Denni feels perfectly at home in the world of food photography. You can see Hugo modelling in the photos, that viking with the ginger beard ;). Read all about their contribution to the magazine on their blog. You can buy the magazine (in Dutch) for the price of €4,95 until the beginning of September in stores – or order it online, here. Do you want to win this awesome edition of Jamie Magazine? Like & share this post on Facebook, I will pick a winner on monday the 11th of August around 9pm!